Applications: Leather Sofas, Sling Webbings, Automotive Interior Trims, Leather Shoes, Saddles, Safety Harness, Filters, Footwear, Car Upholstery, Marine Upholstery, Furniture Upholstery,Polyester Lifting Slings, Safety Belts, Military Belts, Golf Bags, Softball Bags, Backpacks, Cargo Straps, Filters, Industrial Bags, Industrial Safety Products, Tire Covers and Chairs Border etc. Features: At the base of up-down Synchronized feeding material , we develop the up feeding materials single system which is distinguished from the down feeding materials , to make feeding materials desynchronized, as the specialized equipment of flap cover, it adds the versatility and practicality in sewing heavy materials. The lift of presser foot is up to 20MM, suitable for sewing the extra heavy-weight materials, movement of presser foot can be infinitely. 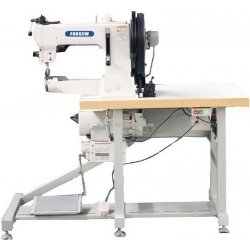 Sewing area can be 320mm, suitable for large, high and cylinder products. Large barrel shuttle reduces the times of thread changes and raises sewing efficiency. 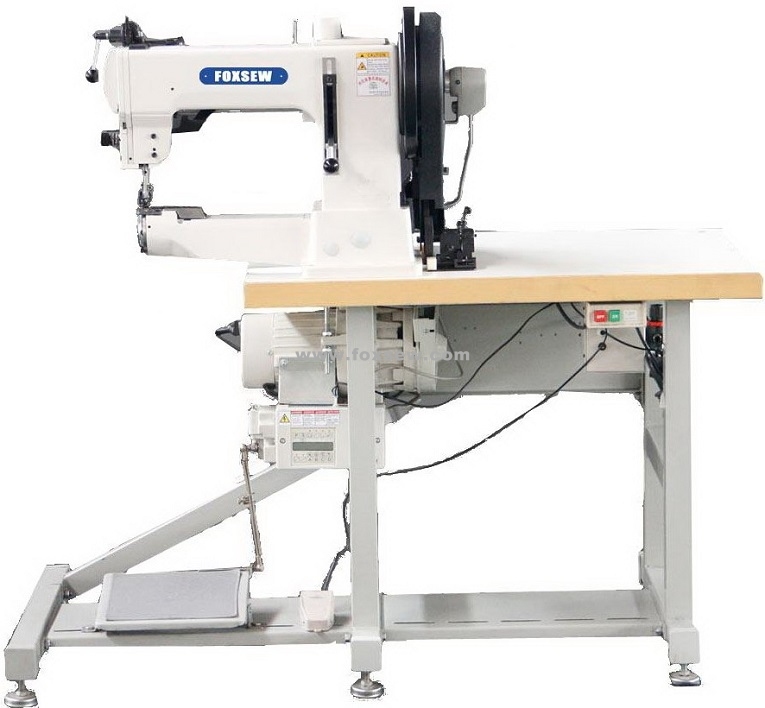 Suitable for stitching handles, tool bag, safety belt, leather belt, tent, cushion, bags, shoes etc including one set of presser, instead of the imported sole out seam stitch, This machine is stable performance, easy to use, multi-functional.